You are here: Home / Common Cures / What is Cardiovascular Disease? What is Cardiovascular Disease? Cardiovascular Disease is a collective term for diseases related to the heart and the arteries and blood vessels surrounding it. Conditions like Heart Failure, Angina, Ischemic Heart Disease, Coronary Heart Disease, Rheumatic Heart Disease, High Blood Pressure, Stroke etc are the most common Cardiovascular Diseases. As Cardiovascular Disease includes several heart problems, it is also known as Heart Disease. Though, Cardiovascular Diseases affecting the blood vessels may also affect other organs such as the brain, lungs, kidneys etc. Most of the Cardiovascular Diseases are caused by a buildup of fatty deposits on the walls of coronary arteries thereby narrowing the arteries and increasing the risk of heart attacks and strokes due to blockage caused by these fatty deposits. Heart attack is one of the most common and disheartening Heart Diseases. 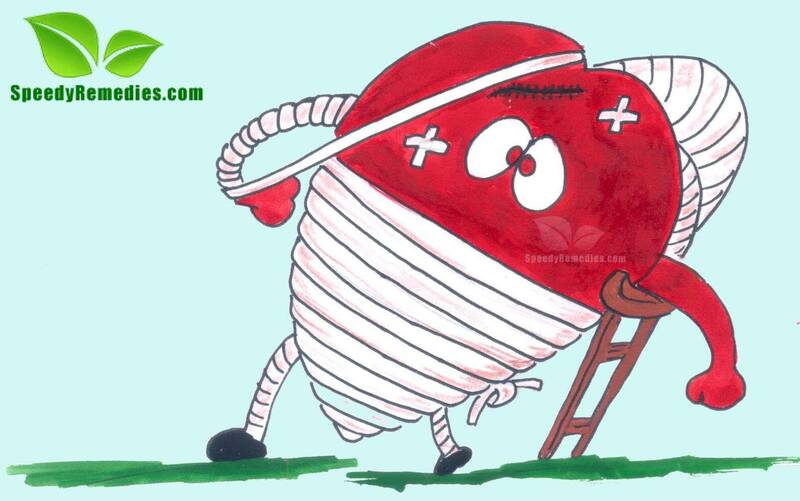 It caused by obstruction in the flow of blood to the heart due to blood clot caused by harmful fatty deposits. These diseases can be caused by genetic factors, unhealthy diet coupled with sedentary lifestyle, or any structural defects. The risk of developing Cardiovascular Disease increases with age, lack of adequate physical activity and the habit of smoking and alcoholism. Conditions like obesity, stress, high blood pressure, high blood cholesterol and diabetes can also be held responsible for the same. Moreover, certain types of infections and toxins may weaken the heart’s pumping ability thereby causing Heart Diseases. It has been observed that menopausal women are at an increased risk of developing Cardiovascular Disease. Serious Cardiovascular Disorders can prove to be fatal too. The diagnosis of cardiovascular Disease is mostly done through an ECG test. ECG stands for Electro Cardio Graphy. Diagnosis of Cardiovascular Diseases like Arteriosclerosis is done through Chest X-rays. Certain other tests for determining different types of Cardiovascular Disorders are Echocardiography, MRI, CT scanning and Positron Emission Tomopgraphy (PET). Blood tests are often required to determine myocardial infractions. Cardiovascular Disease is one of the leading causes of death in most of the countries. Therefore, it is necessary to take relevant steps in order prevent as well as cure this condition. The preventive measures include steps to control the risk factors like hypertension, high blood cholesterol, obesity etc. A number of conventional drugs as well as home remedies are highly beneficial in this regard. In severe cases bypass surgeries may also be needed. Plus, Pacemakers and External Defibrillators may also be required in order to detect electrical irregularities in the heart and apply a shock to revive the heart and heart functions.